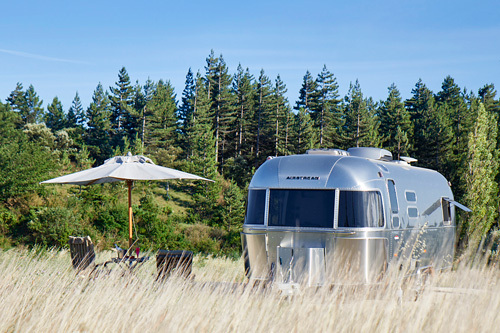 Our Airstream 684, iconic American caravan of the 30s, with a surface of 17m2, can accommodate 2-4 people. 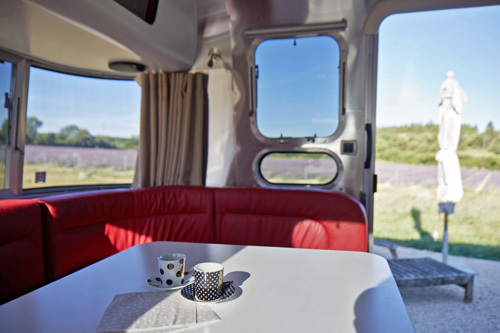 The caravan is equipped with a kitchen, shower and toilet, a double bed and sitting / dining area, which is also convertible into a second bed. 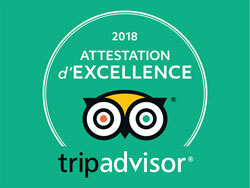 Equipped with 360° windows, the views on the surrounding lavender fields, the forest of Grignan and the Lance mountain range are stunning.